It seems to me hare-brained, or worse, to attempt to prevent “HIV infection” with the same drugs with the same dangerous “side”-effects as would be used to treat the actual illness IF one ever became “infected”; and being “infected”, IF illness actually ensued after an average of 10 years of symptom-free existence. So the clinical trials of tenofovir for “PreP (pre-exposure prophylaxis for HIV prevention)” appear to me to be thoroughly misguided. After all, over the years there have been various initiatives for treatments to be interrupted periodically precisely because of those “side” effects that many patients simply can’t tolerate; and, for that reason, every now and again the mainstream view has swung back to deferring treatment as long as possible. Nevertheless, the obsession with antiretroviral drugs continues. In how many clinical trials, would you guess, does tenofovir feature, for treatment or for prophylaxis? The information is on-line. For tenofovir, there are listed 118 clinical trials (including not yet recruiting, recruiting, active & not recruiting, completed, and one each withdrawn and enrolling by invitation only) . The most troubling aspect of clinical trials, of course, is that they are experiments on human beings. Therefore common sense and decency suggest that the conceivable benefits from the knowledge possibly gained should outweigh indisputably the dangers to which the human guinea-pigs are exposed. A seemingly obvious corollary is that all potential human guinea-pigs should be informed in the most complete and honest possible manner about the dangers they would expose themselves to, as well as the possible benefits to them and to humankind at large. In First-World countries, these considerations have led to regulations that make clinical trials increasingly onerous and expensive, and clinical trials are more and more frequently carried out in places where the regulations are not quite so protective of the potential guinea-pigs. Thus it becomes possible in Africa to do experiments to find out whether the tiny cost of feeding malnourished people is a useful adjunct to very expensive antiretroviral treatment [Drugs or food?, 25 December 2007 ; Food is good for children, 8 January 2008 ], or whether the minimal cost of de-worming children helps to slow the spread of “HIV infection” or progression to AIDS better than just those very expensive antiretroviral drugs[Are intestinal worms good for us? Are they good for Africans? For African children?, 30 December 2007 ; Parasitic worms are *not* good for you!, 24 July 2008 ]. “activist groups, including Act Up-Paris have ‘halted the progress of at least two important clinical trials of tenofovir as PREP and brought negative attention to tenofovir, somewhat similar to that visited on thalidomide more than four decades ago,’ say two researchers in an essay in the open access global health journal PLoS Medicine” [that essay is Singh JA, Mills EJ (2005). The abandoned trials of pre-exposure prophylaxis for HIV: What went wrong? PLoS Med 2(9): e234]. “the end justifies the means? The trial conducted by FHI in Cameroon, Nigeria and Ghana, financed by BBG with the logistic support of Gilead does not seem to us to provide a satisfactory response to all our questions. Provision for psychosocial support and the means implemented to promote condom use are clearly insufficient, even ridiculous: only 5 counselors and one doctor for 400 prostitutes, no access to the female condom, despite it being much easier for the prostitutes to use in negotiating with their clients. However, scientifically speaking, cases of contamination are ‘needed’ for the trial results to be ‘interesting’. If all precautions were taken with regard to prevention and supervision, it is certain that the trial would have to recruit a much larger study population so that a difference in contamination rates between the placebo and tenofovir groups would be statistically significant. . . . The heart of the dossier is not so much an ethical/scientific conflict, as an ethical/economic duel. In this sense also, if recruitment for the trial did not target a population already ‘forced’ to take risks, it would be necessary to considerably increase the number of participants and consequently the cost of the trial… By holding this trial in Africa, Gilead and the BBG Foundation know that they will find a population that is vulnerable both materially and in terms of practices, women willing to let them carry out a trial at minimal cost. It is then, really a question of money . . . . The tenofovir DF trial expects to provide follow-up and access to treatment for sexually transmitted diseases (STD). This plan may appear generous. In fact, it is nothing more than a means of building the prostitutes’ loyalty and minimizing the risks of their dropping out. Moreover, it so happens that follow-up tests are required for the scientific validation of the trial. Setting the amount allowed for expenses at 2,750 Fcfa shows an extraordinary level of cynicism. In fact, a rapid calculation shows us that this amount was figured to cover transportation expenses on the one hand (500 F for the taxi) and the prostitutes’ lost income on the other hand (2,150 F for two tricks, minimal fee in Douala). What will happen to prostitutes who are found to HIV-positive during pre-enrolment testing? We don’t know, but we can imagine. In Cameroon, the promoter plans to refer women who become HIV-positive during the trial to the system of access to care and treatments set up in this country by NGOs and the government. While it is true that in Cameroon, treatment access is less difficult than in other African countries, it remains uncertain. It is estimated that one million people are infected with HIV, i.e. a prevalence of 15% (according to all of our interlocutors, this figure is an underestimate), and that 40,000 people are in urgent need of antiretrovirals (currently only 10, 000 are under treatment). It is therefore particularly shameful that Gilead; which is donating the tenofovir and placebo for the trial has not also arranged to provide free antiretrovirals to participants who need them. “The key community groups that have expressed concerns about the tenofovir trial in Thailand are the Thai Drug Users Network (TDN) and the Thai AIDS Treatment Advocacy Group (TTAG) . . . . These community groups, which can justifiably claim to represent Thai drug users, are well informed about the trial, but their objective concerns have been ignored by the trial investigators. Contrary to the assertion of Joep Lange  “that the investigators did consult intensely with community groups concerned”, TDN and TTAG were not consulted about the trial design and conduct until a very late stage, after several attempts to engage with the investigators had been rebutted. TDN and TTAG had attempted to constructively engage with the investigators since October 2004; they confined their statements of concern to private letters and meetings with the investigators, until the matter was made public in a Lancet editorial in March 2005 . [Anonymous] The trials of tenofovir trials. Lancet. 2005;365:1111. In June, people on three continents will know if the pills they’ve been taking to prevent HIV infection were the real thing or placebos. As the test of tenofovir, said to be an HIV prevention pill, nears the end of the trial period, questions of its effectiveness remain. Researchers worry that the pill’s success may tempt people in high-risk lifestyles to be even more risky, thinking of the pill as a safety net against infection. The tenofovir pill, PreP (pre-exposure prophylaxis for HIV prevention), is being studied as a result of the drug’s ability to boost temporarily the immune system enough to fend off HIV infection by about 80% when administered within just a few days after exposure. Study participants are taking the pill, or a placebo, on a daily basis, however, to determine how effective a prevention it can be. At this time, the most effective means of preventing exposure to the AIDS-causing virus is to use condoms when engaging in sexual activity and to avoid other risky behaviors. Doctors fear potential patients taking the prevention pill may forego the use of condoms, expecting the pill to eliminate all risks of infection. The patients for whom the pill proves ineffective may unknowingly spread the virus to others before the pill’s performance on the individual is determined, a situation that may spread the AIDS epidemic even further rather than keeping it in check. Dr. Albert Liu says he’s heard of people using PreP and other antiretroviral drugs in lieu of condoms outside the study’s parameters and before the drug went into the trial phase. Liu is director of HIV prevention intervention studies at San Francisco’s Department of Public Health. He and his colleagues fear this misuse of the drug will counterbalance any benefits. Doctors warn PreP is not a pill to pop before a night on the town and other precautions must be maintained as well for maximum benefit. As tested, it is a daily medication that comes with side effects that have been linked to kidney and liver damage. In sum: IF the process being tested were to prove effective in preventing people from becoming “HIV-positive”, it would be likely to encourage riskier behavior and a greater chance of spreading “HIV”, as well as exposing those taking the pills to highly dangerous “side”-effects a decade or more earlier than would be the case if they were not “taking advantage” of prophylaxis; all at an annual cost of ≥$6000. Lose for “pre-patients”, for their sexual partners, and for taxpayers, since payment for HIV/AIDS treatment is guaranteed by the federal government (unlike for any other illness, disease, or personal tragedy — in those cases, it would be unacceptable socialized medicine). Win, however, once again, for the drug companies and their lobbyists — and, of course, for the researchers and doctors who get the grants and the consultant fees. Read what a former editor of the New England Journal of Medicine has to say about “Drug Companies & Doctors: A Story of Corruption”, even apart from the HIV/AIDS business. People between 35 and 45 years of age are most affected in everything to do with HIV/AIDS: testing “HIV-positive”, living with HIV/AIDS, being diagnosed with AIDS, dying from “HIV disease”. That should astonish anyone who thinks about it. 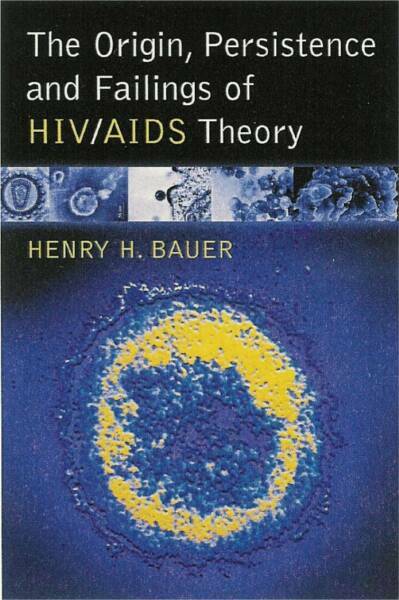 In and of itself, this indicts HIV/AIDS theory as wrong. When first named in the early 1980s, AIDS was diagnosed in people (largely men) whose average age was in the mid-30s (A). That already throws into serious doubt the notion that AIDS is brought about by a sexually transmitted agent, because it’s teenagers and people in their early twenties who are most prone to incur sexually transmitted diseases (STDs) or infections (STIs) (B). At that time, the early 1980s, death was believed to follow within a few years of “infection” — recall, for example, that the airline steward “Patient Zero” had been held responsible for the spread of AIDS because he had been promiscuously sexually active, only months earlier, in places where the illness first became prominent (C). But even if one projects into the past the current much longer estimate of about 10 years for the “latent period” between “infection” and illness, one is still forced to infer that the maximum risk of getting “infected” with “HIV” had been for individuals in their mid-20s, which remains significantly later than is the general experience with STDs. There is direct evidence, however, contradicting any speculation that infection by “HIV” is most likely among people as young as the mid-20s. The results of “HIV” tests at public testing sites (roughly 2 million tests annually) have been reported, by age, from 1995 to 2004 (D). Calculated from those data, the median age of those testing positive increased gradually from 34 in 1995 to 37.5 in 2004; even extrapolating that trend back to 1980 brings the median age down no lower than 29. Not that those tested were for some reason concentrated in the mid-30s age group: the median age of those tested was 27.8 in 1995 and 28.7 in 2004. The mid-30s age of those testing “HIV-positive” has to do in some manner with the “HIV” tests, it is not an artefact of the ages of those who were tested. So not just AIDS diagnoses and “HIV disease” deaths are most encountered in people aged between the mid-30s and mid-40s, so are positive “HIV” tests — all occur at least a decade later than the usual age of maximum risk for an STD. Of course, the age at which the first positive “HIV”-test is reported is not the age at which “infection” or seroconversion occurred. However, the first report from the Centers for Disease Control and Prevention in which time of new “infection” is estimated by a recently developed scheme yielded 35.1 as the median age of “first infection” in 2006 (E), once more: a good decade-and-a-half older than where STDs usually strike with greatest frequency. Comparing that 35.1 with the 37.5 for first positive test in 2004 suggests a difference of no more than 2 or 3 years on average between “new infection” and first positive test, which is entirely plausible, since individuals who suspect themselves to be at risk are likely to seek testing rather frequently, especially after risky encounters. That first positive tests come at a median age in the mid-30s or somewhat later is not compatible with the hypothesis that a positive “HIV”-test signifies a sexually transmitted infection. In 1995, the median age for new diagnoses of AIDS was 37.3, in 2004 it was 40.7 (E). 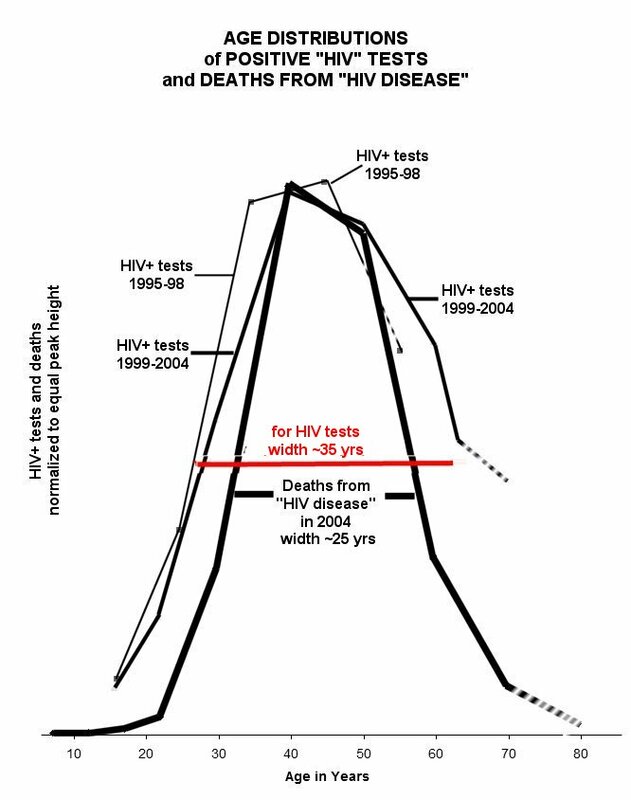 Thus the average interval between greatest probability of a first positive “HIV” test and of a new AIDS diagnosis was only 3.3 years in 1995 and 3.8 years in 2004, about one third of the putative “latent period”. Even adding the possible 2 to 3 years between “new infection” and first positive test leaves the interval at a half or two thirds of the postulated latent period. Even if one over-simplifies drastically, and suggests that “new infections” of those first testing positive in 1995 occurred at average ages of 31-32 to produce most of the deaths in 2004 at average age 45, that offers no hint of any prolongation of the purported 10-year latent period during this period in which HAART is supposed to have provided life-saving benefits extending life spans by anywhere from 7 years initially to several decades now. It’s surely a truly strange situation. The first AIDS cases, in the early 1980s, were among people in their mid-30s. Two decades later, it’s still people in their mid-30s who are most likely to test positive for the purported agent that supposedly produces AIDS on average roughly a decade after “infection” — with the added oddity that “AIDS” seems to strike within significantly less than a decade after “infection”, despite firm claims that treatment successfully staves off illness. On the face of it, this is so incompatible with HIV/AIDS theory as to effectively falsify it. But that’s far from all. Not only positive “HIV” tests and new diagnoses of “AIDS” peak among people in their mid-30s to mid-40s, so do deaths ascribed to HIV/AIDS. The median age for those deaths was 35.8 in 1982, increasing gradually to 45 in 2004 [Table 2 in “HAART saves lives — but doesn’t prolong them! ?”, 17 September 2008]. Moreover, all the age distributions have shifted very little over the years, as illustrated by the very gradual shift in median ages [and see Figures 2a,b in “No HIV ‘latent period’: dotting i’s and crossing t’s”, 21 September 2008.]. The age distribution of deaths has remained, throughout, virtually superposable on the age distributions of first positive tests, and of diagnoses of illness, — which thereby demonstrates both lack of any significant “latent period” and lack of any significant life-extension from antiretroviral drugs. Beyond all that: the age distribution of deaths is, in and of itself, independently of the argument above, a strike against HIV/AIDS theory. In all illnesses and diseases, among those who are stricken it is young-to-middle-aged adults who survive better than do older adults or very young children [see, for example, for influenza, Figure I in “Living with HIV; Dying from What?”, 10 December 2008]. With “HIV/AIDS”, however, that is not at all the case: the probability of dying from “HIV disease” among those who are “infected” does not increase rapidly with increasing age [see Table II in the same post as Figure I]. Nothing about age and HIV/AIDS makes any sense. The numbers simply don’t add up — or, rather, they add up to a resounding disproof, a series of disproofs, of the misguided hypothesis that “HIV” caused “AIDS”. A few sources for this are cited at pp. 87-88 in The Origin, Persistence and Failings of HIV/AIDS Theory. The annual “Health, United States” reports show the median age for new diagnoses of AIDS to have increased gradually from 35.1 in 1982, reaching 41 by 2005 [Table 2 in HAART saves lives — but doesn’t prolong them! ?, 17 September 2008]. “Recent surveys in several countries have shown that the prevalence of STDs is higher among women under 20. In general, adolescent males and females, are at greater risk for contracting STDs”, citing Brabin et al., Lancet, 345  300-4; Duncan et al., Lancet 335  338-40; Duncan et al., Central Africa Journal of Medicine 40  234-44; Lema et al., East African Medical Journal 71  122-8. (C) Randy Shilts, And the band played on: politics, people, and the AIDS epidemic, St. Martin’s, 1987. (E) “Subpopulation Estimates from the HIV Incidence Surveillance System — United States, 2006”, MMWR 57 #36 [12 September 2008] 985-9, see Table E at p. 987. Lack of data for ages ≤13 is unlikely to add seriously to the considerable uncertainties associated with how new infections are estimated; for instance, at public testing sites, 1999-2004 (see citation in reference (D)), HIV-positives under 13 made up only about 0.1% of white HIV-positives and about 2% of black HIV-positives. My insertions [in square brackets] acknowledge that the book isn’t about HIV/AIDS, but the expressed sentiments illustrate how similar are the experiences of people in any field who question a mainstream consensus. Nor need there be the vast array of vested financial and other outside interests connected with HIV/AIDS to make disagreement over an intellectual issue just as viciously ad hominem; as the saying goes, disputes in academe are so bitter because there’s so little at stake — not that prestige, status, a career invested in a certain belief, seem “little” to the individuals concerned. In physics, similar quotes could have been taken from Lee Smolin’s “The Trouble with Physics”, which describes the stranglehold that “string theory” has despite lacking a single tangible actual accomplished result or application. The experience is quite similar in astrophysics, where those who point to the inadequacies of Big-Bang theory are banished from grants and appointments — read, for instance, Halton Arp’s “Seeing Red”; so too in geological science with those who point so annoyingly to phenomena that continental drift (or plate tectonics) cannot explain; read, for example, “Tectonic Globaloney” by N. Christian Smoot. People who doubted that the Clovis culture represented the earliest human presence in the Western Hemisphere were denigrated and ridiculed for decades, until the persistence of Tom Dillehay (“The settlement of the Americas: a new prehistory”) and a few others prevailed and the actual evidence was grudgingly acknowledged of much earlier habitation in South America. It was a dogma that the Mayan picture-script could never be deciphered, until Michael D. Coe showed that it could be, once the possibility was admitted that the present-day natives speak much the same language as their ancestors did (read Coe’s “Breaking the Maya Code”). All the experts knew that the Linear B script was not an ancient form of Greek, until the architect and amateur philologist Michael Ventris showed that it is in fact an ancient Greek language (John Chadwick, “The decipherment of linear B”). Perhaps even more remarkable: the experts all knew that one could not decipher an unknown script if the language it recorded was also unknown, yet Steven Roger Fischer did just that, not only once but twice, with the Phaistos Minoan disk and the Easter Island Rongorongo script (Glyphbreaker). So there are no end of subjects where, as with HIV/AIDS, outsiders and an unfortunate but courageous few insiders keep pointing out that the evidence for the mainstream consensus is as lacking as were the Emperor’s New Clothes. 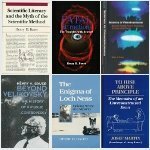 At any rate, if you want to take a break from thinking about HIV/AIDS theory, which affects and has affected in so many drastic, harmful, indeed lethal ways so many people, you might enjoy reading “Proving Shakespeare — The Looming Identity Crisis” by David L Roper, from which I took the quotes at the beginning of this post. There is far less evidence to support the notion that the Stratford man (Shaxpere, Shaksper, there are all sorts of other versions as well) wrote the “Shakespeare” plays than there is to support HIV/AIDS theory. Roper, as is rather typical for us dissenters from orthodoxy, is not always judicious and doesn’t always make the case most likely to appeal to naïve observers, but he does marshal the case comprehensively and quite logically, most particularly that all the sparse tangible evidence left by the Stratfordian concerns his business dealings, which were often a bit shady and had nothing to do with literature or writing; everything else is speculation and imagination based on the belief that he wrote those plays and therefore “must” have . . . been educated (despite a lack of school or other pertinent records), etc., etc. My reservations are chiefly Roper’s exposition of the deciphering of alleged codes, where I simply don’t know enough about either Elizabethan practices or cryptography in general to venture a guess. My conviction that the Stratfordian wasn’t “Shakespeare” is owing to Diana Price’s impeccably argued and documented “Shakespeare’s unorthodox biography” which details, for example, that there are no pertinent references to Shakespeare by contemporary playwrights and writers whereas there are innumerable such references among those contemporaries about one another. I had earlier enjoyed “Alias Shakespeare: Solving the Greatest Literary Mystery of All Time” by Joseph Sobran, which first suggested to me that those who question the Stratfordian’s authorship aren’t crazy. If you become interested in the authorship question, you can keep up with some of the latest discussions at www.shakespeare-oxford.com . It’s a fascinating exercise in assessing evidence without the spiritual burden that accompanies thinking about what HIV/AIDS theory has wrought. And there’s even a very plausible solution already at hand to the mystery of who was the real author of “Shakespeare’s” works. My previous post, “Scientific illiteracy, the media, science pundits, governments, and HIV/AIDS” (15 January 2009), had taken on a life of its own after starting out as a comment on Goldacre’s error-filled piece about Christine Maggiore. Now back to Goldacre. Scientific literacy means to have learned the salient findings of history of science and related fields, for example, that a mainstream consensus is sometimes wrong, especially when it comes to novel matters. Scientific literates know that one cannot accept a mainstream consensus without further ado. Scientific literates know that if a mainstream consensus is challenged by competent people, one then needs to burrow fairly deeply into the actual evidence before reaching an eventual judgment about where the best case probably lies, with the mainstream or with the challengers. Science pundits who talk about pseudo-science should know that the problem of defining pseudo-science has never been solved. They should know that philosophy of science concluded, after decades of intense effort, that there are no logical definitions or formal descriptions by which “real” science can be distinguished in principle from non-science, or false science, or pseudo-science. 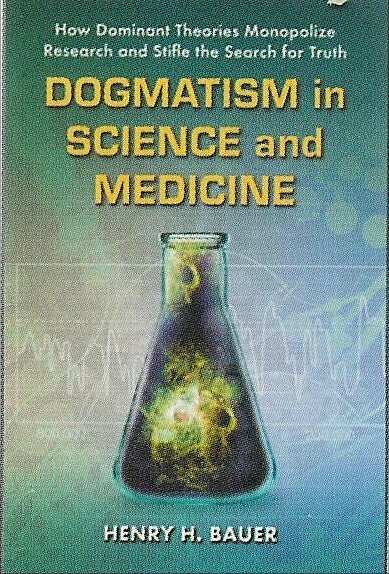 Those who label a subject “pseudo-science” should know that some topics so labeled later became accredited parts of mainstream science, while some matters long regarded as “scientific” were later relegated to the rubbish heap (see Science or Pseudoscience: Magnetic Healing, Psychic Phenomena, and Other Heterodoxies). It requires detailed and comprehensive knowledge of each specific controversial claim to reach a reasonably informed estimate as to whether it’s likely to be lauded or dismissed in the scientific future. Scientifically literate pundits who do have such detailed knowledge, and who are also without vested self-interest pro or con, are unlikely to call something pseudo-science if distinguished scientists claim to discern some merit in it; at most they might spell out why it seems possible, or perhaps even likely, that these competent people have gone wrong this time. 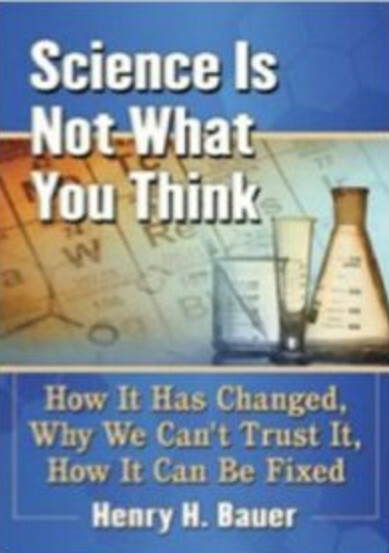 Above all, a genuinely informed science pundit will hesitate for a long time before making an assertion that presupposes 100% certainty — and 100% certainty is asserted when something is called pseudo-science. Ben Goldacre carries the mantle of science pundit for a newspaper widely regarded as respectable and perhaps even generally reliable (Guardian, UK). I admit, though, that I hadn’t heard of him before his recent piece about Christine Maggiore appeared. It’s a shoddy, uninformed disgrace to journalism which exposes Goldacre as a scientific illiterate. Goldacre transgresses what ought to be a sine qua non of science punditry and responsible journalism by feigning knowledge that he doesn’t possess. His ignorance about Maggiore is illustrated in the very first paragraph when he describes her as “lauded in the American media”. Perhaps he has never come across the Los Angeles Times, published in Christine’s home town, where she has been roundly maligned, indeed persecuted. All the information is readily available online, including a complete file of the material about Maggiore and her daughter in the Los Angeles Times. The second paragraph by Goldacre describes Maggiore as HIV-positive, when anyone who has even a passing acquaintance with her experience knows that she suffered a succession of positive, negative, and inconclusive tests, the very experience that led her to look into what’s actually known about HIV/AIDS. In the same paragraph, Goldacre asserts about breastfeeding that it “has been shown that this increases the risk of maternal transmission” — when the very opposite happens to be the case, to the considerable and ongoing consternation of mainstream researchers (“More HIV, less infection: the breastfeeding conundrum”, 21 November 2007). About Maggiore’s daughter, Goldacre is sure enough right, that “The coroner attributed the death to Aids” [sic, British usage], but he fails to mention that this coroner was long infamous for incompetence or corruption or both, that he made the “AIDS” diagnosis in a way that suggests it was only because he had come to know who the mother was, and that there is a still-pending law-suit against the coroner for disseminating his conclusion without proper evidential basis. “Maggiore’s views on HIV were driven by the work of Peter Duesberg” is also untrue. Parroting the description of Duesberg as an “AIDS denier” illustrates how Goldacre simply repeats sound-bites unthinkingly: Duesberg has never denied that AIDS exists, in fact he has offered explanations for what brought it about. Nor has Duesberg done “very well with journalists”. Neville Hodgkinson did not learn from Duesberg, he discovered for himself in Africa that HIV/AIDS there is a colossal mistake; Hodgkinson was instructed by people like the Krynens, who had gone to Africa as conventional AIDS charity workers and then discovered at first hand that HIV/AIDS theory is wrong. One can, I suppose, excuse a Pommie (Englishman) who calls Nature “probably the world’s most important academic journal”, but a scientifically literate pundit would not do so, recalling perhaps the words of Nobelist Paul Lauterbur that the history of science could be written in terms of paper rejected by Nature [“Nobel Prizes illustrate how research is done and evaluated”, 21 October 2008]. Goldacre is not alone, of course, in accepting results from a “demographic modelling study” as being so reliable as to be worth disseminating further; but, again, no self-respecting scientifically literate person should do so. No scientific literate would confuse being wrong on a matter of medical science with being stupid; by Goldacre’s criterion, he himself is stupid many times over. Nor would any thoughtful person label someone as stupid just because that person had an idea that might be called stupid; Goldacre’s clear implication is that he has never himself had an idea that might be called stupid, suggesting an infallibility nothing short of Pope-like or God-like. Indeed, much harm has been done in the name of the pseudo-science of HIV/AIDS [“HIV/AIDS and parapsychology: science or pseudo-science?”, 30 December 2008]. The only justification for disseminating what columnists, experts, pundits have to say is that the rest of us might learn something that we would be unlikely to know already. Goldacre merely repeats sound-bites, mis-information, and mis-interpretations that have made the rounds for a long time. He’s not doing his job.